Welcome in the new year (and a new PMQG board) at the first meeting of 2015! 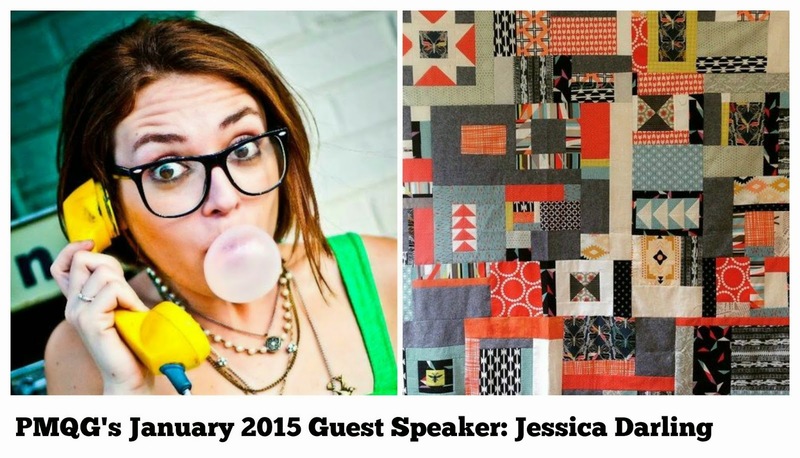 We’re excited to have guest speaker Jessica Darling with us bringing some color to the drab days of January. The meeting will be in the community center, which is behind the main church building. There are two parking lots. Your quilts for show and tell! Guests and non-members are welcome at the guild meeting. Guests are free for the first visit; $5 for each visit after that. Modern Domestic will offer PMQG members 20% off their purchase of fabric and notions on Thursday. Modern Domestic will be open until 7 p.m., so stop by before the meeting! 1408 NE Alberta St.
We hope to see you on Thursday!